2) Guipuzcoa – De gueules à une tour d’argent sommée de trois tourelles du même celle du milieu plus élevée ouverte et ajourée d’azur à la bordure d’azur ch de huit étoiles (8) d’or. English: Gules with a tower argent surmounted by three turrets of the same that of the middle more elevated doorways and openings azure a bordure azure charged with eight etoile of 8 points or. 3) Guipuzcoa – De gueules à une tour d’argent sommée de trois tourelles du même celle du milieu plus élevée ouverte et ajourée d’azur. English: Gules with a tower argent surmounted by three turrets of the same that of the middle more elevated doorways and openings azure. Zamora is among the many known surnames that Spain has offered to the world. Spanish last names have a very good popularity nowadays because of all the lands that the old Spanish Empire used to control. Several of them can be seen in the America of today, thanks to the fact that a big portion of this continent, was under the authority of Spain. The last name Zamora is a locational surname, which means is associated with a particular place. In this case is the city of Zamora, located in the Duero at the northwest of the Spanish territory. This city had a very important strategical position, which is why it was so disputed during the wars between Christians and Moors and then between the Spanish kingdoms of Leon and Castille. Zamora means “wild olives” and its origin can be traced back until the 16th century, and it has the particularity of being one of the first Spanish surnames in installing in South America during the colonization process. Another good feature of Zamora is that in old Spain, it was common that this surname was preceded by the preposition “de” which means that its bearers were from the city of Zamora but also that they owned several lands in that territory and even the city itself. The oldest bearer of Zamora recorded was Rodrigo Zamora, who lived from 1542 until 1623, who was a cosmographer of the royal house of Philip II of Spain. In the Medieval Ages, there were very common phenomena that affected almost every surname, that was spelling variations. These variations occurred due to several reasons that together caused that one single last name, ended up with many different ways of being written which in the long run, created new surnames. There were three main motives to this type of incident. The first one was the big wars that happened in this period of history. These armed conflicts caused the big movements of people that went from one territory to other as they were expelled or regained a certain territory. The civilizations that controlled an specific land changed so the predominant culture also changed. The consequence of this was that the last name was influenced by the different culture in a period of time and it helps to the creation of spelling variations. Another reason was how some branches of a family used to have motives to be distinguished from the main familiar group. The did this for different motives, some did it to express their loyalty to a certain king or lord, while others used to take this measure to clearly stated their religion. There were even cases in which inside a family there were differences so big in opinions about important matters that they just wanted to cut ties. During this time just a few people knew know how to write and read, so this important track of keep records was assigned to scribes. But there was a big difficulty in this job, most of the time the only reference they had to write a word was how it sounds. Plus, there wasn’t an exact right of way of writing a word because there weren´t the grammatical rules that we have today. This caused a big confusion about writing, so almost every scribe had his own way of doing it. A consequence of this it was that one single surname could be writing in different manners. Thanks to all of this Zamora is a surname that counts on some spelling variations like, Zanora, Zamor, Samora, Zamaura, Zamore, Zamorran, Zamorrano and many others. The surname Zamora is not that can be seen with a lot of frequency like others Spanish surnames. However, it holds the 981st position in the ranking of popularity of surnames of the world. It counts of approximately 539,340 bearers in total. The nation with the highest account of users of Zamora is Mexico, followed by the Philippines and the US and the country with the highest density of bearers of Zamora is Costa Rica. Thanks to good records we can know some of the first bearers of Zamora like Alonzo Monte de Zamora in Nuestra Señora La Antigua, Valladolid, Spain on February 21st, 1580, Francisco de Zamora, who got married to Ysabel Perez Blanco at Villapalacio, San Sebastian, Spain, on December 5th, 1661. Others examples were Mateo de Zamora who appeared on January 31st, 1563 on Nuestra Señora La Antigua, Valladolid, Spain during the reign of King Philip II of Spain and Francesco of Zamora of Villafranca de Montes de Oca from Burgos, Spain in 1770. Unfortunately, there are very few genealogical records about the surname Zamora, and most of them are very short. In this work, we could only find two. The first one begins with Manuel de Zamora Martínez from Madrid. Manuel got married twice, first to María Clara de Urizar Morante daughter of Juan Francisco de Urizar y Castellanos and Francisca Morante y Escobar on April 9, 1734, in Valparaiso, Chile and the second time to Ubalda de Ojeda y Morales, daughter of Clemente de Ojeda y Espinosa and Maria Morales Férnandez Caballero y Bocanegra. 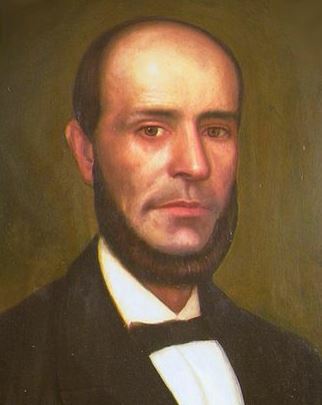 Manuel de Zamora Martínez had twelve children, they were Cayetano de Zamora y Urizar, José de Zamora y Urizar, Pedro de Zamora y Urizar, Tadea de Zamora y Urizar, Ignacio de Zamora y Ojeda who got married to Josefa Marquéz y Venegas, Miguel de Zamora y Ojeda who got married to Tomasa Astsorga Urízar with whom he had three children of their own, Carmen de Zamora y Astorga, Jesús de Zamora y Astorga and Monica de Zamora y Astorga. The resto of the children of Manuel were José de Zamora y Ojeda, Javier de Zamora y Ojeda, Juan de Zamora y Ojeda, Rafaela de Zamora y Ojeda, Francisca de Zamora y Ojeda and Pedro de Zamora y Ojeda. Another family with the surname Zamora were the one of Rafael Zamora Avaria, who got married to Carmela Yrarrazaval Zamora, daughter of Manuel Yrarrazaval Trucíos and Julia Zamora Cobarrubias. They had three children, Marta Zamora Yrarrazaval, Sergio Zamora Yrarrazaval and Hector Zamora Yrarrazaval. 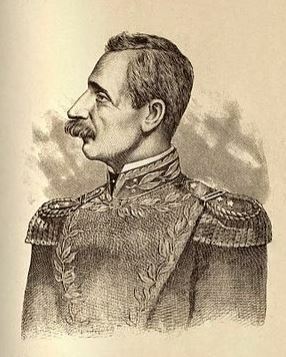 A third branch of the surname Zamora starts with Eduardo Zamora Reyes who got married to Ester Vergara Errázuriz, daughter Felipe Vergara Astaburuaga and Elena Errázuriz Mackenna. Eduardo and Ester had five children, Maria Ester Zamora Vergara, Raimundo Zamora Vergara, Juan Eduardo Zamora Vergara, Maria de la Luz Zamora Vergara and Maria Elena Zamora Vergara. After Europeans started to travel to America looking for a new life and beginning their families in the new continent, the surnames of the old world started to be used in this new land. Some of the first bearers of Zamora in arriving in America were Francisco and Cristobal de Zamora who arrived in America in 1511, Felipe de Zamora, who did it in 1512, Diego de Zamora who landed in Peru in 1534, another Felipe de Zamora who arrived in Venezuela in 1534 and Alonso Zamora who landed in Dominican Republic in 1555. Then, in the 19th century more users of Zamora landed in America like Francisco de Zamora who arrived in 1811, Felipo de Zamora, Francisco de Zamora and Pedro de Zamora who landed in America in 1812 and Leonor de Zamora who did it in 1814. There have been some bearers of Zamora that have left an important mark in different fields. Some of them are Ezequiel Zamora (1817-1860) a military commander from Venezuela, Bobby Zamora (b. 1981) an English footballer, Alejandro Zamora (b. 1984) a football player from Spain, Iván Luis Zamorano Zamora (b. 1967) a Chilean football player, Niceto Alcala y Zamora y Torres (1877-1949) President of Spain from 1931 until 1936, Ruben Zamora (b. 1942) a Salvadoran politician, Tye Zamora (b. 1977) American musician, Jose Ruben Zamora (b.1956) a Guatemalan journalist and Pedro Zamora (1972-1994) a Cuban-American AIDS activist.